Content is the most important SEO factor and the most hard to master as well. It gives people a reason to visit your web page. Providing resourceful and engaging content is the best way to optimize your website for search. Know more about getting targeted traffic through content. Good content provides value to its users. To the point and informative content is what drives traffic to your website. Plagiarism is an evil and it will never help you. Credit is always given to the site who first publishes the content. Avoid Keyword Stuffing and use synonyms and related words for the content. It should be accessible by crawler and bots. It should be linkable i.e. it should be directly accessible, reproducible and shareable. Title tag is what defines the theme of the website. It is the description that is displayed on the search results. It is a key traffic driving element to your website thus, it is very important to optimize it for best results. It should range between 55 to 60 characters. 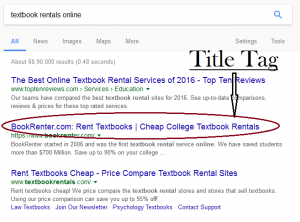 Beginning of the title tag has most thus, it should have the most targeted keyword. You can use hyphen to separate keywords. Use ‘|’ pipe symbol to put brand name. Unless the brand is highly recognized it is better to start with target keywords. 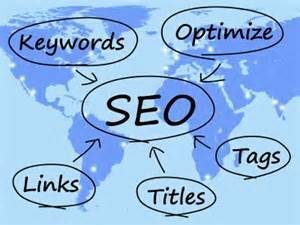 If the site is build from scratch then it is most suitable to use proper SEO friendly URLs. URLs indicating proper hierarchy of content with content topic used in it is considered feasible from SEO standpoint. But if it an already established site than it is risky to change URLs as any authority the page might have built in the past would be lost. H1 and H2 tags indicate headings in the page. You can identify heading tags by either looking at the source code of the site or by using a SEO plugin like MOZ toolbar. There should be only one H1 tag per page as multiple H1 tags are considered spammy. H2 tags can be as much as you consider feasible. Important keywords should be placed in the heading tags as the gives search engine a signal that the page contains information user is looking for. Meta description is what is displayed as site’s description in search results. If there is no meta description then google will pick the content from first paragraph of the content as meta description. It is good to write a custom meta description so that it can include a call-to-action with proper keywords in the appropriate number of characters. It should be between 150 to 160 characters and one should avoid using special characters and quotations. You can also see the visual guides by Rand Fishkin and Brian Dean for quick reference. Want a more detailed guide? Look Here.